Let us identify the items in your solid waste that can be either eliminated, prevented, reduced, reused, or recycled! ASI Waste is proud to be able to share our expertise with your facility through our consultation services. 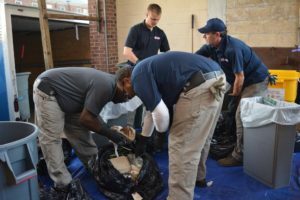 Through our waste audits and waste evaluations, we can identify both the opportunities and the concerns within your current waste management practices. Our audits and evaluations are thorough and allow us to obtain the data necessary to provide you with an evaluation detailing your current systems. Once evaluated, we can show you how to make your waste collection and disposal methods more efficient and economical. We provide all of this, while ensuring you are compliant. Through our audits, your waste practices will become more efficient, more compliant, and more sustainable! 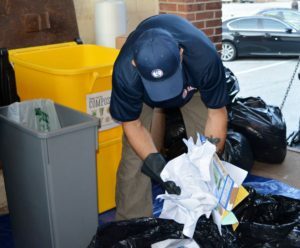 Our comprehensive waste evaluations provide a thorough understanding of all your waste streams and the costs associated with the management of these wastes. 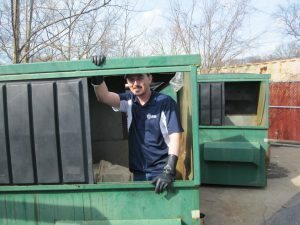 Waste and recycling companies typically “Set It and Forget It” when it comes to waste and recycling services. This tends to solely benefit the waste and recycling company, not the waste generator. Our innovative programs begin with a comprehensive waste audit to understand the types and amounts of waste and recyclables generated at the facility. We evaluate volumes, costs, disposal sites, equipment, containers, and overall waste management practices. We ensure your waste is properly handled from the cradle to the grave, and that you have the documentation to support it. The findings are presented and the waste minimization plan is developed. This plan is designed to optimize current resources and increase efficiency within your facility, while avoiding landfills. This plan identifies procedures, waste flow and course of action for educating your facility. Each month we will gather waste invoices and analyze any fluctuation in volumes up or down. A tracking report is generated and sent via email. We are able to review these volumes and fluctuations on a monthly or quarterly basis. From our tracking report, we develop a plan to reduce overall waste sent to landfills, increase recyclables and reduce overall waste disposal costs. We also provide on-site training. We educate your staff to properly manage the various wastes, since it is very important. Throughout this process we monitor the progress of your facility’s program to ensure the goals you set are achieved and maintained. Our goal is simple, AVOID LANDFILL and improve operational efficiencies while ensuring compliance. Contact us today to see how we can help you better understand and manage your various waste streams.